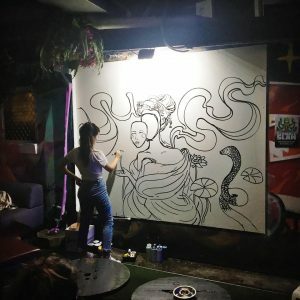 Hidden away in Brisbane’s infamous beergarden, Ric’s Backyard, exists an extraordinary live art battle that showcases the creativity of two artists every month. At this event, the artists have 90 minutes and a blank wall to respond to a theme with any medium of their choice. This month, we had the pleasure of meeting artists Ben Dutton (@BanjoBonfire) and Lisa Kelly (@TheMoonGallery). 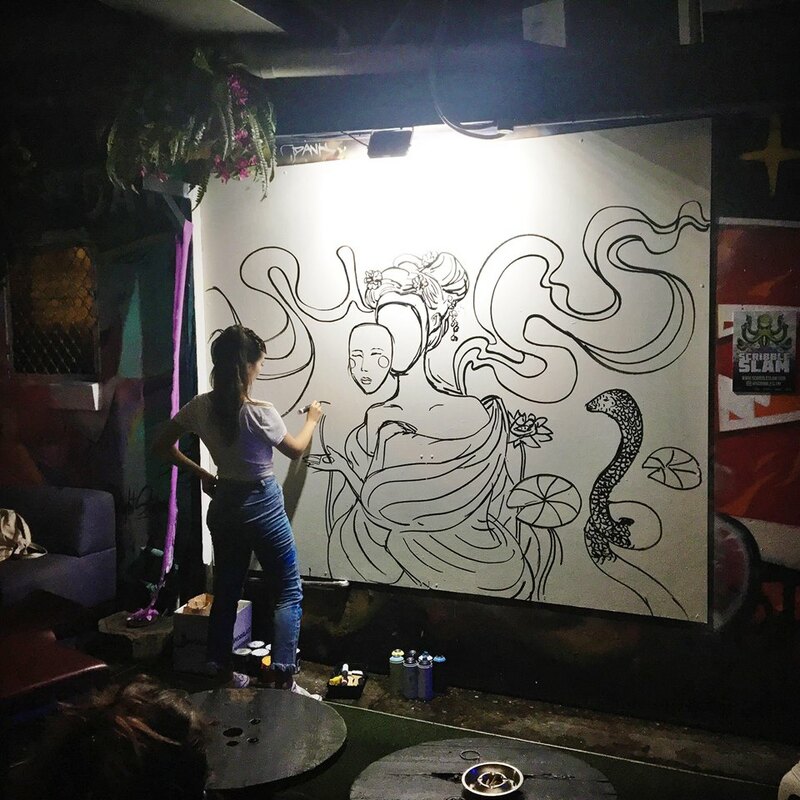 As a slice of suburbia transplanted into Brisbane’s pulsating club-capital, Ric’s Backyard offered a perfect stage of upbeat vibes and relaxed drinks to watch the artists work. The MC delivered a dramatic build-up to the theme “WHY?”, prompting artist and audience alike to twiddle their imaginary beards in confusion. Though the themes at Scribble Slam are known to be vague, “WHY?” was a concept that threw everyone into the deep-end. After trading a few addled glances, Ben and Lisa quickly began indulging their talents—gliding their pens across their canvases. There is nothing quite like watching an artist’s process from start to finish. 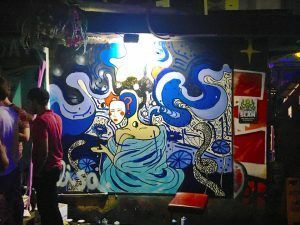 In the 90 minutes spent drinking beer behind the artists, we watched the artists transform their chicken scratch sketches to evocative images conjured by layering an array of vibrant colours and brilliant techniques. The transformation process was an incredible experience, but it was also remarkable to watch their individual studio styles translate to a style that was more “street”. After the battle, we had a quick chat with the artists. TCI: Tell me a bit about your work and how it responds to the theme? Lisa Kelly: My work was a little spontaneous, but my work relates to identity in modern Australian culture. Geisha’s represent identity really well because they put on a mask the same way women put on makeup or the way people wear their ethnic identity. 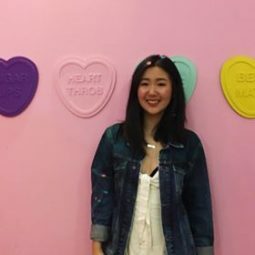 My background is Vietnamese so I have Asian heritage that comes through a lot of my work too. TCI: The theme was really vague, were you mind-boggled at all when it was announced? LK: Totally, though I had heard that the themes in the past included ones just as vague, like “smutty”. But it was nice that the theme was really broad. TCI: Who is your biggest influence, or favourite artist—an artist who’s impacted your works? LK: There’s so many. I love Matisse because he’s done a lot of different styles, and he’s just a classic abstract artist who has worked in a lot of traditional styles as well. He also loves the colour blue—I’ve drawn a lot inspiration from him. 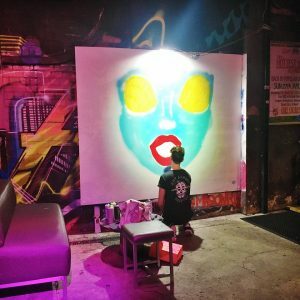 TCI: Tell me about your work and how it relates to the theme? Ben Dutton: The theme was why. My art is very consumerism-based; it’s about trying to fill your own self with false things, like HelloKitty, which I’ve included in the vomit and the tears. It talks about a billion-dollar company and questions why HelloKitty is so famous. She’s just a kitty, but she has so much going on. 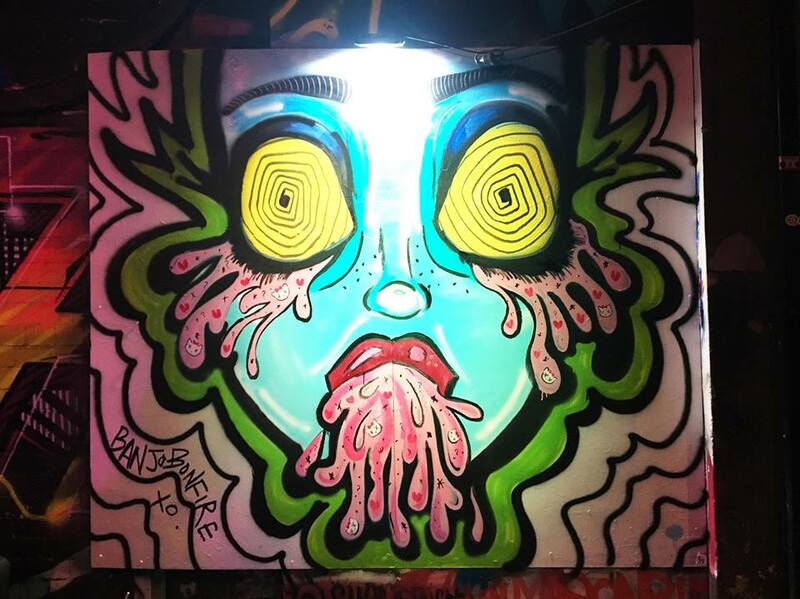 I thought I’d play with that in a street art form that was bright, colourful and quirky. TCI: are you happy with how your work translated into street art? BD: My work is usually a bit more polished than this, so to have it translate this graphically—I’m pleased with it. TCI: And who’s your favourite artist or your biggest influence? BD: I really like the work of Michael Zavros, but he’s a lot more realistic than me. There’s also Jihai Ayashima—she’s a Japanese artist. 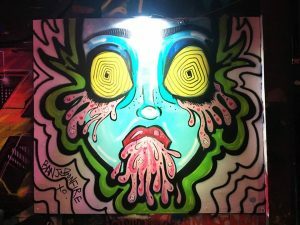 Her work is actually very similar to my one in that it involves a lot of vomiting so it plays on those graphic notions.